Your Greater Bluffton local Jasper and Beaufort County South Carolina real estate agent and luxury real estate specialist, Steve Wallace, has top designations. He can assist you with buying or selling real estate in Sun City Hilton Head, Hilton Head Island, Bluffton, Okatie, Callawassie Island, Beaufort and beyond. His premier website has been revamped and revised at www.SteveWallaceRealEstate.com. The site is a great local real estate resource assisting home buyers and sellers. Steve has a variety of top designations and provides his clients with the dedication, skills, and experience to help you reach your local real estate goals. Designations and experience are important to consider prior to choosing your next real estate professional! Below you’ll find a brief overview of Steve Wallace’s designations and certifications. Certified Weichert Lead Specialist (CWLS) educated and trained to work efficiently with the Jasper and Beaufort County South Carolina home and real estate buyers/sellers by assisting them over a distance and in-person. 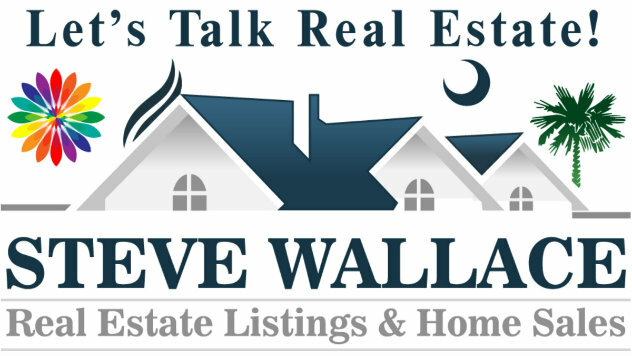 Steve Wallace Real Estate Listings & Home Sales website visitors receive prompt, professional, courteous and personalized service along with a wealth of local homes and real estate information tailored to meet their needs. Sellers will like to know that our multi million dollar call center in northern New Jersey performs warm lead transfers to the Certified Weichert Lead Specialists like Steve with Weichert, Realtors Coastal Properties in Sun City Hilton Head, Okatie, Hilton Head, Bluffton and Beaufort areas. Our top company website, Weichert.com, receives many hits or visits from home buyers and home sellers each and every day. Seller clients take comfort in the knowledge that many interested parties will be directed to speak with Steve to learn more about a local home of interest. The “ABR®” Designation: For Real Estate Buyer Agents – The Accredited Buyer’s Representative (ABR®) designation is designed for real estate buyer agents who focus on working directly with buyer-clients. The Accredited Buyer’s Representative (ABR®) designation is the benchmark of excellence in buyer representation. This coveted designation is awarded by the Real Estate Buyer’s Agent Council (REBAC), an affiliate of the National Association of REALTORS®, to real estate practitioners who meet the specified educational and practical experience criteria. Contact Steve Wallace, ABR® when buying Bluffton Homes, Sun City Hilton Head homes, Hilton Head homes, Okatie homes and Beaufort area homes for the best in buyer representation in South Carolina. Seller’s Agent for client’s real estate listings. As a seller’s agent, Steve utilizes the great resources available at Steve Wallace Real Estate and Weichert, Realtors® Coastal Properties to create a truly customized marketing program. Using both traditional and new technological tools, we create an advanced market program for your Greater Bluffton SC real estate listing to market your house, villa or land to sell. MOM – U.S. Military on the Move Certified Real Estate Agent– The MOM program is a new program from Leading Real Estate Companies of the World® designed to reward America’s fighting men and woman for their service to our country and to provide them with a top reason to work with our local company in Beaufort County SC. Weichert, Realtors Coastal Properties has opted to participate in this initiative. To be eligible, you must register for the program, be either active duty, retired military (20 years of service) or a wounded warrior. Our military can learn more by contacting our local MOM coordinator. Steve is your local certified Military on the Move real estate agent and he is honored to assist military families moving to and from the Beaufort County Greater Bluffton SC area. Quality service to our men and woman in the U.S. Military and assistance when buying or selling local real estate is our top goal. U.S. Military on the Move is a free real estate rebate and information program that allows you to earn cash back when you buy or sell a home (in states where allowed by law). This program is a top real estate program for our Military. To be eligible you must register with U.S. Military on the Move before contacting a real estate agent. Contact our MOM coordinator, Maureen, for more details at (843) 341-3700 X8115. Let Maureen know you want more program information and heard about the program from your local U.S. Military on the Move certified real estate agent, Steve Wallace.  SFR – Short Sale and Foreclosure Resource – For many South Carolina real estate professionals, short sales and foreclosures are the new “traditional” real estate transaction. Knowing how to help sellers maneuver the complexities of short sales as well as help buyers pursue short sale and foreclosure opportunities in Jasper and Beaufort Counties are not merely good skills to have in today’s market — they are critical. If you are a Bluffton, Hilton Head, Sun City Hilton Head, Okatie, Callwassie Island or Beaufort home buyer and/or seller of a local short sale or foreclosure, contact a Short Sale and Foreclosure Resource. 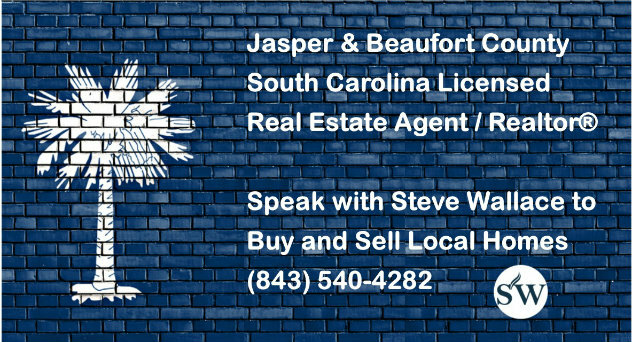 When buying or selling Greater Bluffton SC real estate in Jasper or Beaufort County, contact your designated Short Sales and Foreclosures Resource, Steve Wallace. Steve makes it his duty to find you not only a home to meet your needs, but the perfect combination of amenities, location and design to best fit who you are and exactly how you aspire to live. 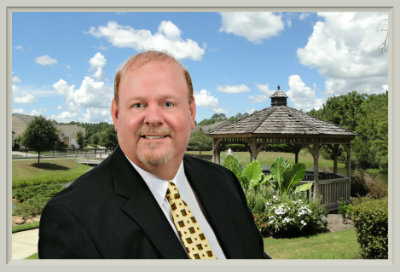 Whether you are interest in buying a home in one of Bluffton’s private golf communities, on Hilton Head on or off plantation, in one our active adult communities or in the Beaufort area, Steve and his Weichert Associates are at your service. Steve Wallace, REALTOR®, is also a member of many local, state, national and global real estate organizations. He is at your service locally and in other areas through his top real estate connections. Successfully completed the Real Estate Principles and Practices prescribed in Section 20-314 (c) of the Connecticut Real Estate Licensing Laws on April 3, 1980. Relocated to the Bluffton/Hilton Head Island area of the lovely South Carolina Lowcountry. Associated with Weichert, Realtors®-Coastal Properties and services, with his associates: Hilton Head, Sun City Hilton Head, Okatie, Bluffton and Beaufort, in Beaufort County SC and select areas of Jasper County. South Carolina specialist for luxury real estate, re-sales, new homes, condos (villas), short sales and foreclosures!